This object is used to track tagging on the Asset Object. You can select all the object layouts in which you want to use tagging. 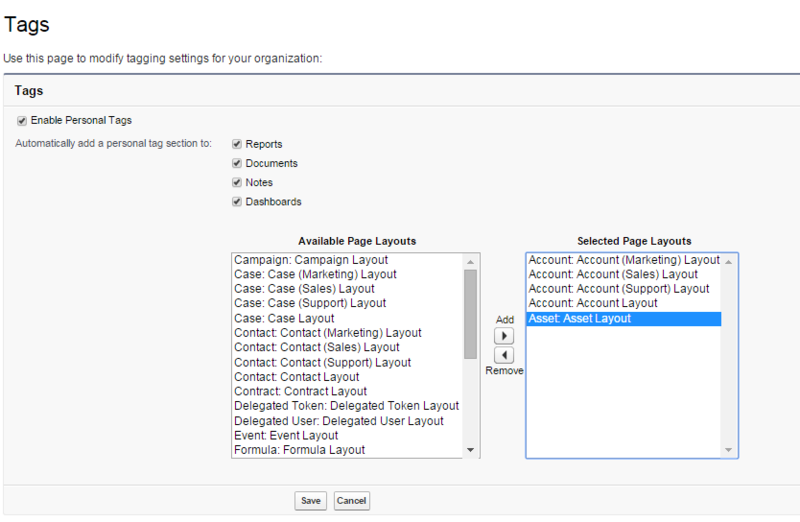 You can also have, upon feature activation, public tags, as described in the AccountTag page.